Hello everyone! It's Jacquie today with a pretty Christmas card! 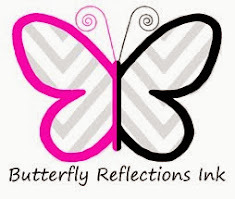 Before I get started, I want to remind you that there is a FANTASTIC SALE going on right now at Butterfly Reflections Ink! I will add the coupon code to the bottom of this post. 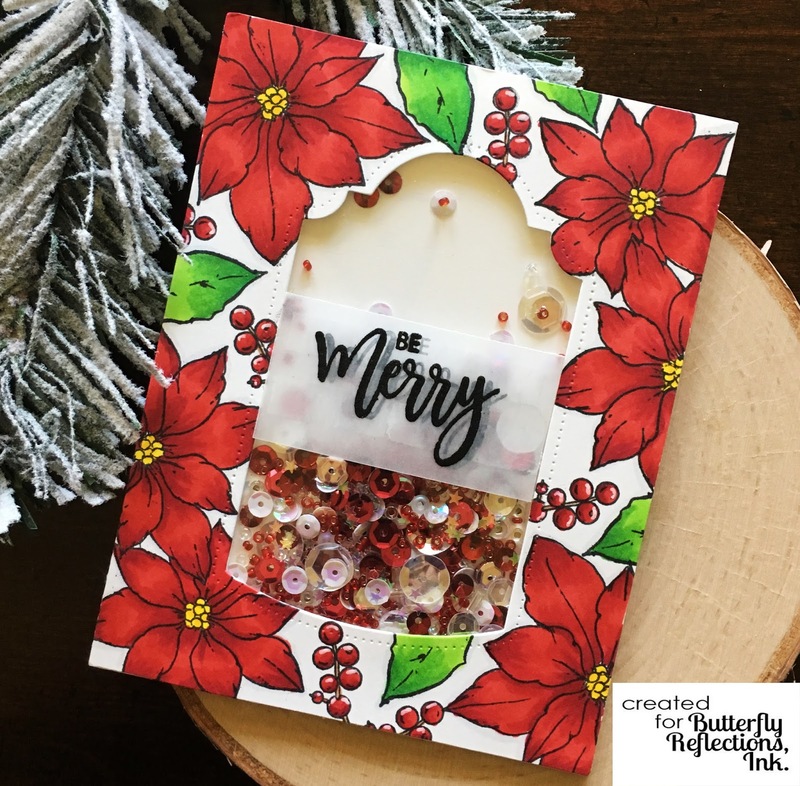 I started this card by taking an A2 sized card panel and stamping images from Studio Katia Merry Poinsettia set around the entire card using Copic friendly ink. I colored them with Copic markers. Then I took the Studio Katia Dotted shaker tag die and centered it on my colored card panel and cut it out. I assembled the shaker card by cutting out clear acetate and using a strong tape adhesive to cover the shaker window. 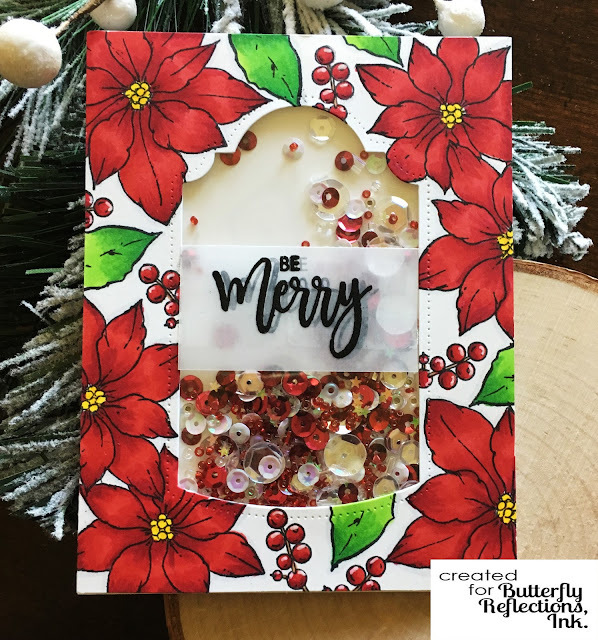 I stamped Be Merry from the Studio Katia Merry Poinsettia stamp set on a piece of clear acetate. I used my MISTI stamping tool for this because I needed to stamp it a few times to get good coverage, and also because I did not want to smear the ink. I then stamped that same Be Merry sentiment on a piece of vellum. I offset it on the acetate so that it looks like there is a shadow of the sentiment, showing through the vellum. I assembled the shaker card by cutting out Judikins Embossable Window plastic and using a strong tape adhesive to cover the shaker window. I created a shaker well by using Scotch foam mounting tape, double layer. 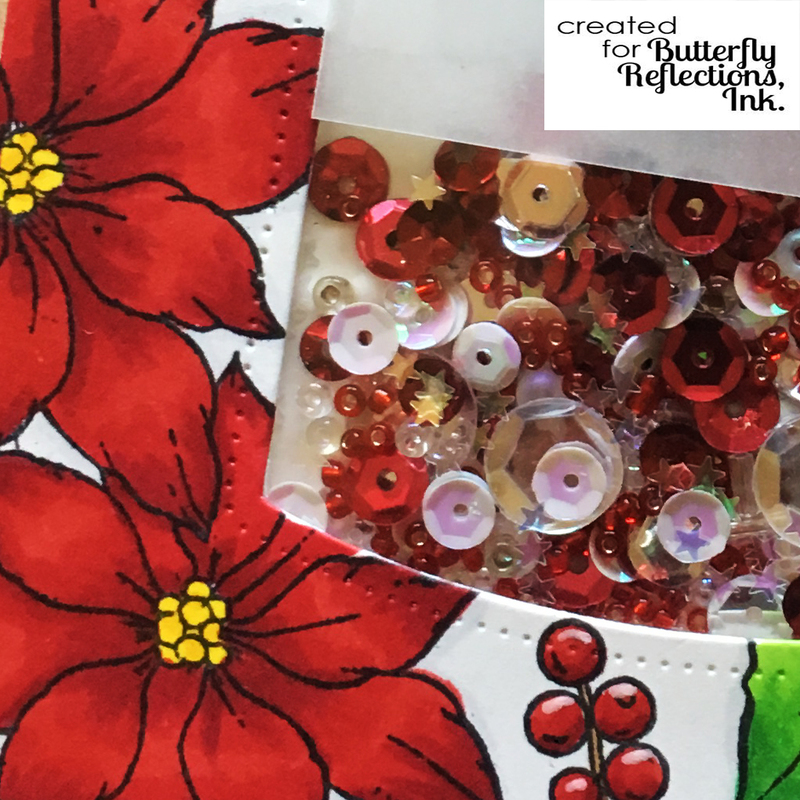 I added the sequins and then put the top folding notecard on the shaker panel and pressed it down. I added some details to the berries using a white gel pen. Due to the sale, many of the items I used are sold out, however, I put together a few substitute items you can use! That's it for the card today. 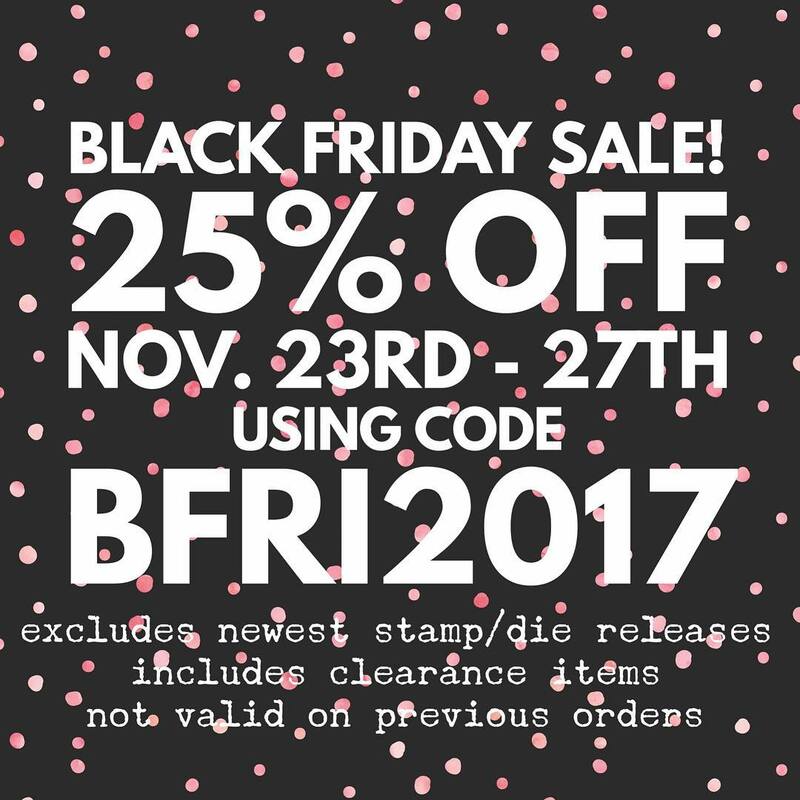 Be sure to shop the sale (today is the last day!) 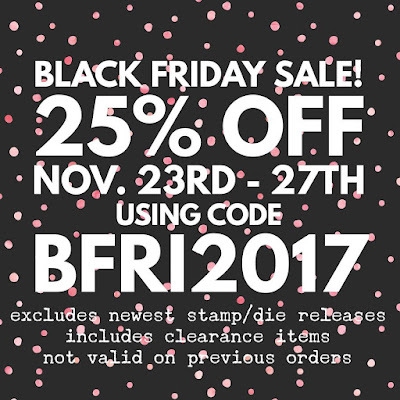 There are a ton of great items in the store, and this is a wonderful sale and so generous!